On Monday Karbonn Mobiles launched its new smartphone titanium Frames S7 in India. 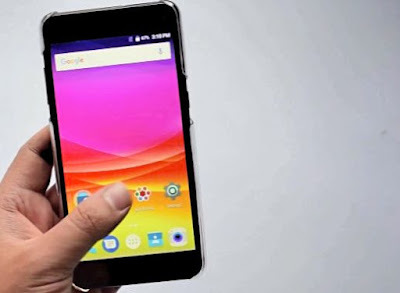 Customers can buy this smartphone from Shopclues at a price of Rs 6,999.Also, customers who can buy the Titanium Frames S7 with IndusInd Bank or Standard Chartered Bank Credit or Debit Card will also eligible for 10% discount.Also, the customers with this smartphone will be given cashback of Rs. 2,000 if they having network of Airtel.To avail Airtel cashback offer, customers will have to recharge 199 rupees for 36 consecutive months and After completion of 18 months, 500 rupees will be given by the company. The remaining 1,500 cashback will be given to customers only after completing 36 months. This Smartphone comes with 1.45GHz quad-core processor with 3GB of RAM.The Dual SIM Karbonn Titanium S7 runs on Android 7.0 Nougat OS. It has a 5.5-inch full-HD (1080×1920 pixels) IPS display with 2.5D curved glass protection.Apart from this this phone having 32GB internal memory ,with the help of memorycard it can be increased upto 128GB.Talking about the camera section, the rear camera has 13 megapixel with LED flash, while its front camera also has 13 megapixel for better selfie.Camera Also having HDR, Pro Capture, Face Detection and Beauty mode. For Better Network connectivity, the Titanium Frames S7 has 4G VoLTE, Wi-Fi, Bluetooth, GPS / A-GPS, OTG support.This smartphone comes with 3000mAh battery. Apart from this we can get a fingerprint scanner in the rear side of smartphone. PREVIOUS POST Previous post: BIGG BOSS 11 Mastermind Vikas Gupta Eliminated. NEXT POST Next post: Now You Can Backup and Restore Contacts to Google Drive Using Truecaller.